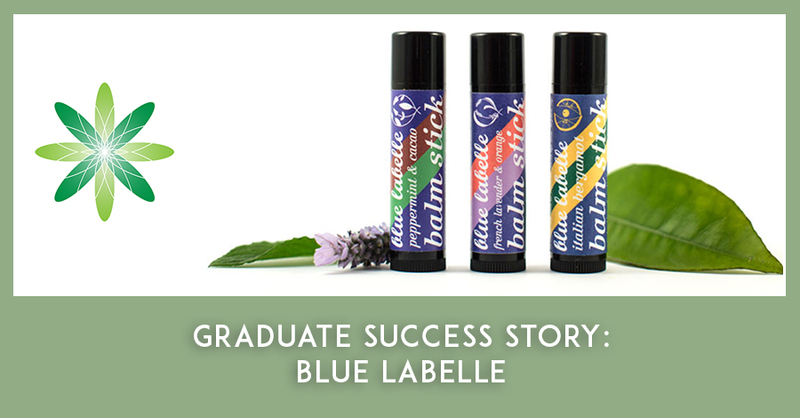 We’ve wanted to introduce you to Pascale from Blue Labelle for a long time, as she was one of Formula Botanica’s first ever students back in 2013! Back in those days we only had a few dozen students and all of our course materials were sent by email. Things have changed dramatically at Formula Botanica since those days. Since that time Pascale has also seen her lovely business continue to blossom so we’re really excited to chat to Pascale on the blog today. 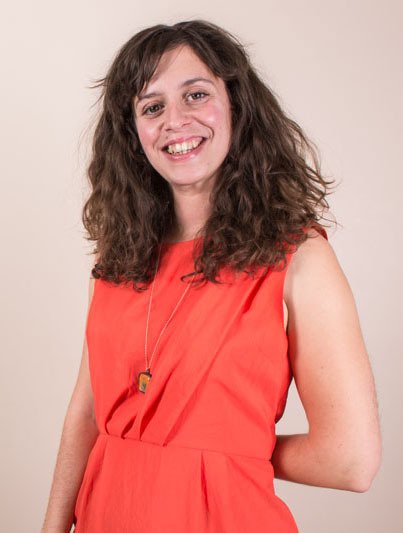 Hi Pascale, can you please tell us a bit about you and your business? Hi! My name is Pascale, I live on the south coast of the Isle of Wight in a town called Ventnor which is beautiful. My background before starting Blue Labelle in 2011 was that I graduated with a business management degree in 2004 and after a bit of travelling had a few jobs in various sectors ending up in wind energy where I was in logistics. Unfortunately the plant was closed during the economic downturn and we were all made redundant. I had already been making essential oil based skin care & home remedies for a few years after a good friend educated me in their wondrousness! So being out of work during a recession I decided to become self employed, and after a few years of studying and learning – from the ashes the phoenix of Blue Labelle was born! My business focuses on natural and vegan – all of my oil blends & balms are 100% natural using only ingredients that benefit the skin. I ship worldwide from my website www.bluelabelle.co.uk, am stocked in two shops & a beauty salon here on the island, a boutique & salon on the English mainland and a boutique in Spain. 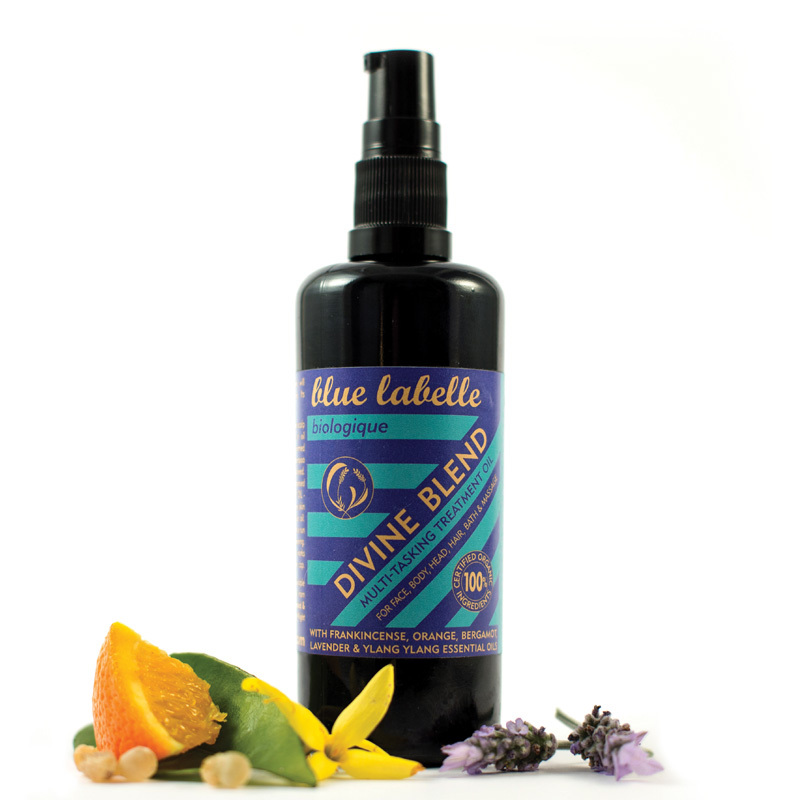 Where did the name ‘Blue Labelle’ come from and where did you get the inspiration from for your brand? It was actually a good friend that came up with it! She kindly offered her help on coming up with a name, I said I’d be using blue bottles and it’d be nice to have part of my name in it somewhere if possible, and she came up with Blue Labelle a short while later! I love it because it makes me think of bluebells and my French side of the family. Simple and effective. 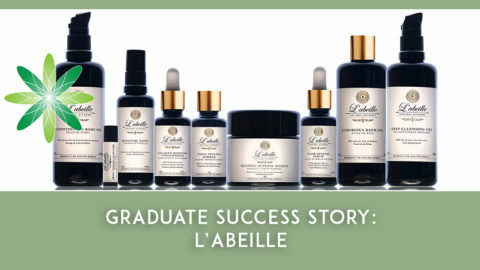 What type of skincare products do you sell at Blue Labelle and which one is your favourite? I started with plant oil blends – face oils, body oils and cleansing oils, these were updated a couple of years to using all cold-pressed organic oils, then I launched vegan balm sticks, again using all organically grown ingredients. 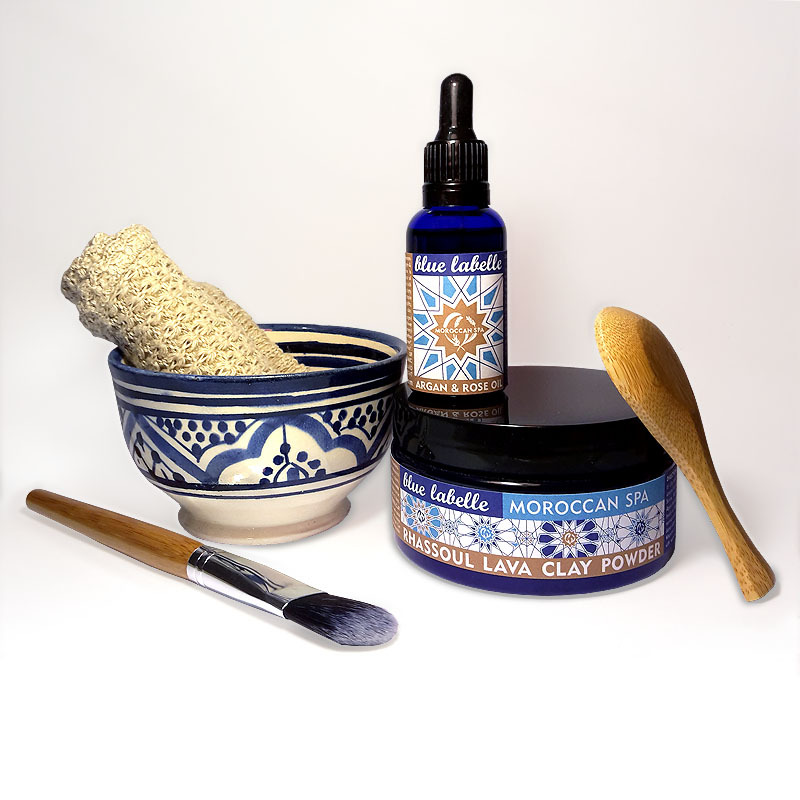 Then I started selling Moroccan Clay for masks and scrubs. I have a new product in the formulation stage that includes Rhassoul Clay with other new ingredients to my repositories which is always exciting! If I had to choose a favourite product right now it would be my Moringa & Raspberry Seed Face Oil, it was such a huge hit with the beauty bloggers that reviewed it and I just love the smell, feel and formula of it. 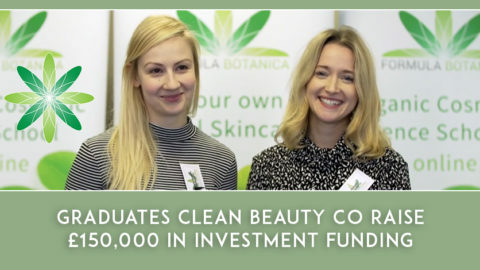 I had already been running Blue Labelle for two years before I started my Formula Botanica courses, I had completed two courses in Cosmetic Legislation and Natural Skincare with another school prior to launching the business, and on top of my own practical experience that I had built up over the years I wanted to broaden and deepen my knowledge. 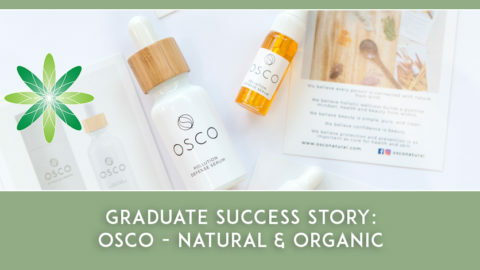 I completed the Diploma in Organic Skincare Formulation in 2013 (when the school was known as School of Holistic Cosmetology) and the Advanced Diploma in Organic Skincare Science in 2014. I’d like to add that I passed that with Distinction and asked if that could be put on my certificate! (I’m a geek I know). I loved doing the courses. They were a perfect combination of practical experiments and written assignments. 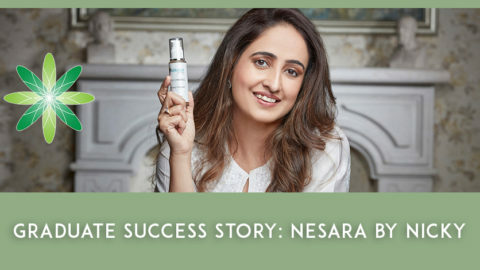 Even though I chose not to start with emulsion creams or other formulas using water, I still wanted to make those types of products and get assessed on them. 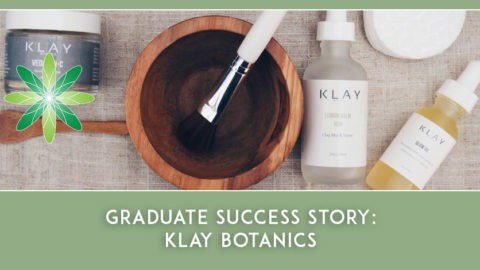 I learnt of ingredients I hadn’t heard of until studying with Formula Botanica, it made me go out and try new things, and the way the courses are written they are made for business owners – what’s your niche, what does the market want etc etc. There are at least two products of mine which have evolved directly from products I had to make for the courses. I would highly recommend Formula Botanica! Ooh good question! A tough one.. I’m lucky in that I actually love all aspects of running my own business. I guess something I love the most is creating new products – from start to finish it’s quite a journey and in the end you have a product you’ve put your heart & soul into; working out what to make, what its purpose will be, its formula – testing that, changing it, remaking it, testing testing testing. 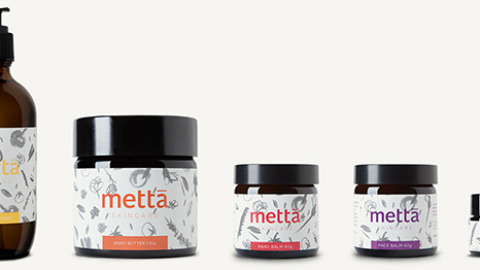 Then it goes onto packaging, label design, then marketing and launching! It’s so exciting when you get a new product out there, getting positive reviews from beauty writers and customers, and knowing those that are using it are enjoying it and getting skin benefits! All just using natural ingredients. That is magic. You’ve been running Blue Labelle for quite a while now, what has been the biggest challenge in finding new customers? 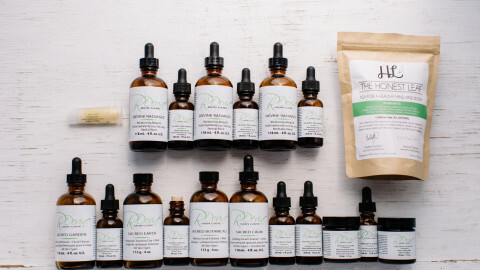 The green beauty industry has grown quite a lot since I started in 2011. There were just a handful of businesses offering facial oils, now even high street brands are doing them (synthetic versions!). So competing in this growing market I guess is the biggest challenge – how to stand out amongst the other brands that will probably have bigger budgets than you and all the things that allows them – bespoke designed bottles, taking out large adverts and editorials, distribution & manufacturing which means they can be in many shops etc. To counter this I simply couldn’t have run the business without the internet – social media in particular has been brilliant to find new customers, if you can put the time into growing your followers then the exposure gives smaller brands access to new customers. Instagram in particular is a joy to use and the connections online I’ve made around the world (personal, business or customers) makes all the hard work worthwhile. Getting yourself out there. If you haven’t got a budget how do you manufacture batches to give to shops Sale or Return? How do you get bloggers to want to review you or people to buy? I’ve built Blue Labelle from a tiny budget making small batches, but I was lucky shops here on the Isle of Wight were willing to stock me after only trading for a few months which really supported my growth. Study. And not just skincare studies, although studying cosmetic legislation and making skincare is vital. If, like me, you don’t have tons of cash to launch your business with to pay other people to do your accounts etc you’re going to need to know how to do most of the aspects of running a business yourself. You need to know how to use spreadsheets – for your accounts, product cost planning, batch making and recording. You need to be savvy with logistics – stock control, planning and purchasing. R&D – finding suppliers testing their ingredients, packaging suitability and availability, extensive market research. PR & communication skills – contacting people / shops and making connections to sell stock or review your products. Maths is pretty essential; for product formulas, accounting and more. 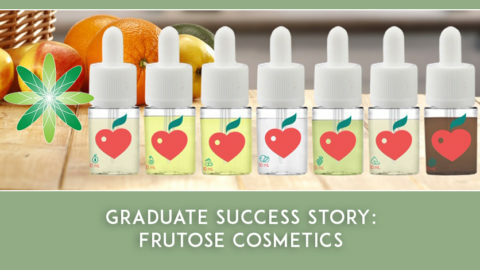 There are so many facets to running a skincare business that aren’t actually anything to do with making your products! It’s worth doing a few courses making sure your skill levels are there so that once you’ve launched you’re not going to feel out of your depth.